I know, I know. It’s January 2nd and we’re all supposed to be back to the usual day-to-day grind. I’m hoping to keep the short week a light week and I’m still spending a little time thinking back on the year that was and looking ahead to the year that will be. I’m not a big resolution person at the start of the new year, but I wanted to share some thoughts about where I’m looking and the direction I want to take in 2008. My main goal for 2008 is to become more entrepreneurial and diversify my revenue streams. When 2007 began my biggest goal was to grow business by picking up new clients and increasing the rates people would be willing to pay me. While I did achieve both goals during the year, December was a good reminder why client work is difficult to scale and why it will ultimately put limits on success. December turned out to be the busiest month of the year. As soon as I returned from my Thanksgiving vacation most of my clients were in need of work. Add in a new client with a lot of work and I was a rather busy Web Developer/SEO. Great for my bank account, but not so great for my time. Through much of of the month I was busy to the point where if one more person requested work I wouldn’t have been able to do that work. There simply wasn’t any more time. The finite limits of time is what keeps client work from scaling for me. The money you earn providing services is directly proportional to how much time you can perform those services and your time is always a limited resource. That’s not to say you can’t do well as a service provider. As busy as I’ve been I know I can still take on more clients. I’m not at the point where my time is maxed out, but it’s important to realize there is a maxing out point. Time is not limitless. Sooner or later in order to grow business further I would have to either hire employees (or outsource the work) or raise the rates on how much my time costs. For many either strategy will work. For me not so much. I’m not really the employer type in the sense of having an office and managing a group of people. I also prefer working with small business owners as clients who will only pay so much for my time. As demand increases for my services I can continue to raise rates, but there will come a time when the only way to increase rates further is to take on more corporate clients, which isn’t all that appealing to me. The look back to 2007 wasn’t meant to paint a bleary picture on my or any service business. There’s plenty of room for me to grow with client work and will be for quite some time. Still I’d prefer generating revenue that scales so I can gain back more of my time and work and play at the things I’m most interested in. One way of creating more scalable income is to develop my own projects instead of only developing client projects. As much as I’d rather not admit it, I was hoping to develop some sites this past year, but spent too much of my free time procrastinating. I’m taking a more focused approach as 2008 begins I hope. My goal is to first develop some smaller sites based on an affiliate/contextual advertising business model. Ideally these sites will provide passive income streams to reduce my reliance on client work and provide capital to develop some larger ideas. A stable of sites will also better serve as test cases to increase my understanding of how business works online. There is only so much you can learn marketing one site. Testing things on multiple sites across different markets should reveal more about what does and doesn’t work, which should allow me to grow each of my sites and offer more value to my clients. In addition to new sites I’d like to develop products. 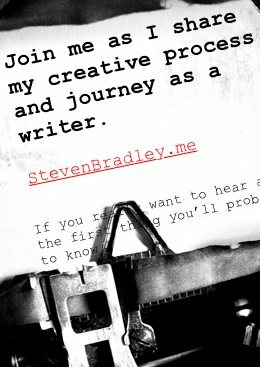 I’ve thought for awhile about stepping outside my comfort zone and writing an ebook or three. Conversations with friends have convinced me it’s time to stop thinking and start doing. While I believe there are going to be better ways to package and sell information in the coming years I think creating a couple of free and paid ebooks will be an entry point for me. A long time ago I mentioned moving this site to a new domain. Again procrastination and a little bit of fear over the change kept it from happening in 2007. Some of you already know I plan on rebranding and moving to Van SEO Design. I think the name better reflects who I am and the services I offer. I see one of my greatest asset as being able to develop search engine friendly websites and I want to position myself in that space. Promoting myself better at the point where web development and SEO meet should allow me to raise rates for what I already do. It should also allow me to upsell design clients on my marketing services. Ideally that will allow me to offer more services to less clients resulting in a win-win situation for everyone. By working on more aspects of any client’s site I can deliver more value in less time. The win for clients is less spend than having to hire different people to work on overlapping services. The win for me is in getting back some time by not having to sell myself to clients as much and being able to focus more on a smaller group of sites. Revenue streams and business models aren’t the only changes I’d like to make in the coming year. I plan on stepping up two marketing tactics I started in 2007 (actually late 2006). The first is guest blogging. I’ve done some guest posting in the past, but I want to increase both the quantity and quality of content I give to other sites. My goal with guest blogging is to make myself more visible to new audiences and hopefully bring parts of those different audiences back here. A secondary goal is link building through the content and author bio links. When I look at my current reading list I realize how many of the bloggers I subscribe to first engaged me on a blog other than their own. The point was further ingrained on me when reading Skellie’s 3 month growth plan and her ideas about guest blogging. The second is a more focused approach to social media marketing. You don’t have to look far to see someone hyping social media as the greatest thing since sliced bread, but a post by Maki on the importance of social media marketing hit home with me. I have been building profiles on several social media sites for awhile now, but I’d like to become smarter and more focused when it comes to social media as a marketing platform. I want to identify the sites that make the most sense to contribute to and also get better at generating content those communities will like. Speaking of content I have every intention of working to improve the content I offer here. Whether it’s through better writing, better post design, or in choosing topics that you’ll be more interested in reading. Anything I can do to make your time here more useful is always a goal. Another of Maki’s recent posts that resonated with me was about content strategies. While I always strive to create the best content I can, I can’t say I’ve had a content development strategy in place. My goal here is to develop more cohesive content that better promotes the services I offer and the products and projects I hope will come. Those are some of the ways I’m looking ahead in 2008. The biggest change is really the new domain and an effort to develop revenue streams beyond client work. I do plan on continuing to do client work, but I want to diversify into other markets and other business models. What are you thinking for 2008? Will it be business as usual? Some minor adjustments? Or do you have some major changes ahead? Hopefully a year from now I’ll be able to tell you that 2008 was a great year. The price increases aren’t aimed at existing clients. Once I give someone a price for services I stick to that price unless the requirements change. I’m still charging clients the same rate I charged them 2 years ago even though it’s about a third of what I charge now. It’s more aimed at new clients. It’s really less about what rate I set as it is about the value I can make others see in the work I do. I know what I can offer and believe I charge fairly, but it’s not always easy to convince others of that value. My hope is that by combining site development with seo and highlighting it more I can get new clients to better understand the value of what I’m offering. I’ll be interested to see how changing the way you market yourself and the effect that has on your pricing goes over? It sounds like this is primarily aimed at existing clients…? Only you and your clients can know what price is fair for your services. I also completely understand the angst involved – especially in raising prices to existing customers. Supply and demand, it’s the American way. I only do that for one client and she’s turned into a friend of the family over time so she gets a bit of a discount. When she first came to me, though what I charged her was all I could realistically charge. My rates have gone up as I’ve gained skill and experience. When I set a price for a client I look at how much value I can add to their site or business. If I don’t think I can add value I’ll let the person know I’m probably not the best fit for them. I don’t want to take someone’s money for doing nothing. True about supply and demand. As you gain more clients and the demand on your time goes up you can charge more.